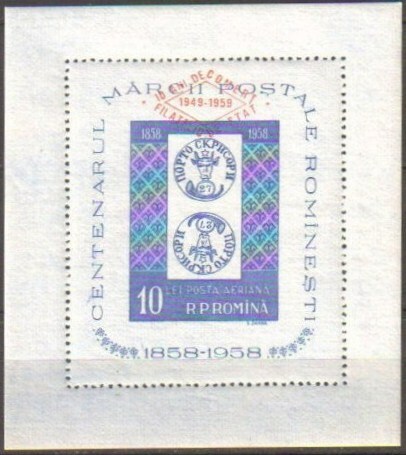 In 1958, Romania issued a souvenir sheet commemorating the centenary of its first postage stamps (Scott #C57). 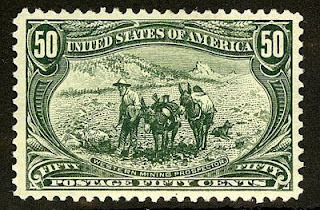 30,000 were issued, and Scott '12 prices the unused souvenir sheet at $ 35.00 . 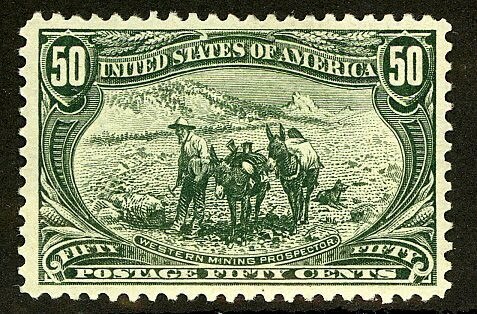 The added appeal to Stamp-on-Stamp topicalists should help to bolster the value of this souvenir sheet. 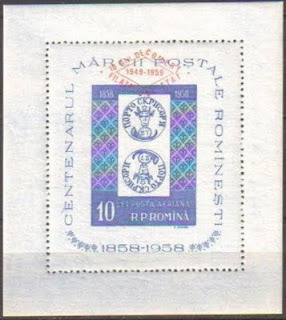 A nation of 22 million people with a GDP per capita of $ 12,285.- (about 46% of the EU average), Romania is considered an upper-middle income country. Romania's main exports are clothing and textiles, industrial machinery, electrical and electronic equipment, metallurgic products, raw materials, cars, military equipment, software, pharmaceuticals, fine chemicals, and agricultural products. Though the economy has been hit recently by the global financial crisis, GDP growth has averaged about 3.8% over the last ten years.